PRICE REDUCED! ARE YOU LOOKING TO SAVE A FEW HUNDRED DOLLARS ON YOUR ELECTRIC BILL? This is a stunning 4 bed, 3.5 bath pool home energy efficient home with 7.425 kW PV solar system, solar hot water, and double hung insulated gas windows. 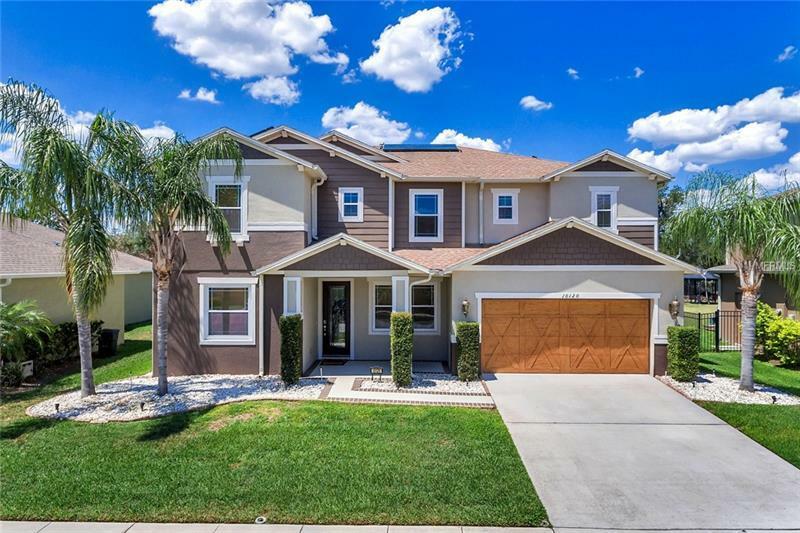 located in the highly sought after Eagle Creek community of Lake Nona. All upgrades are included(see attachment). From large Kitchen area with Kitchen-Aid appliances, LG top load washer/dryer, plus 70" mounted TV living room and Master Suite!! Upon entry you are greeted by a formal living/dining combo, plus a den providing an ideal space for a home office/library. Brand new french double doors lead to a backyard oasis with the screened-in patio, boasting a spectacular pool and spa with plenty of space for outdoor furniture and grill, creating an ideal spot for entertaining or simply soaking up the fabulous Florida weather. Hardwood flooring on the second floor includes a large bonus room and 3 very generously sized bedrooms for family, guests, and just about anything else your heart desires. Make your way to the Master Retreat and discover a beautiful and spacious suite featuring a walk-in closet, and an ensuite including a soaking tub, separate stall shower, and dual-sink vanity. Enjoy nearby shopping, dining, and convenient access to major highways. This home won't last ! Check out the video tour!